Astroneer is available on Early Access on Steam and Game Preview on Xbox One. 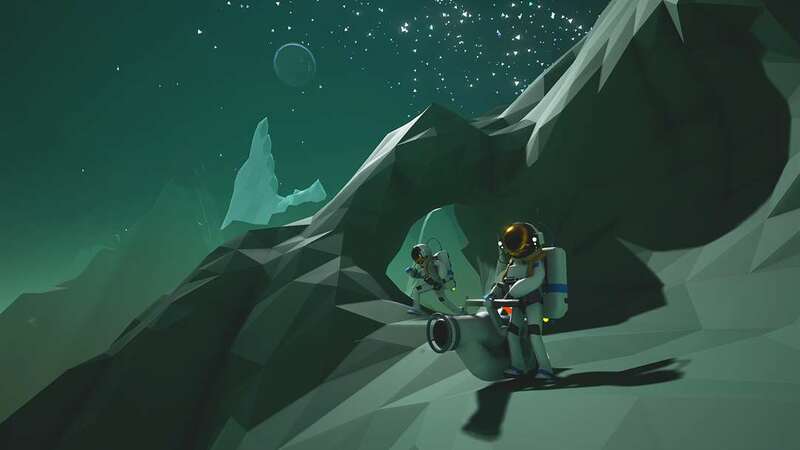 Astroneer, a space exploration and industrialization game, has finally went into Early Access on Steam. We’ve been keeping a close eye on this indie game and it’s great to see it finally give players a chance to see all the amazing things System Era Softworks has been working so hard on. If you would like to know more about this game, check out our Astroneer preview. On Steam, you can decide between 3 options: the game, the game and the soundtrack, or just the soundtrack itself. The soundtrack is ambient with quirky elements, creating the perfect atmosphere for space exploration and industrialization. Make sure to grab some friends and embark on online co-op, or be a true vagabond and explore the reaches of outer space alone. Whichever you decide, you’ll be sure to enjoy yourself since Astroneer is already sporting some very positive reviews. While Astroneer is in Early Access on Steam, the game is also available for preview on the Xbox One. It’s important to note that this means the game is unfinished and that the developers have decided to take this route so they can have players assist them with the development of the game. Brendan Wilson, the team’s general manager express that, “We admire early access development models for democratizing how games are made.” Watch our inspiring In-Depth interview with System Era Softworks. Indie games typically take this route in development because it allows them to not only make their game better with the help of their fan and player base, but it allows them to self-publish. A development team like System Era Softworks prefer this method since going with a publisher would compromise the amount of freedom they have with their game. If you’d like to support System Era Softworks and their game Astroneer, make sure to head over to steam and join in on all the Early Access fun. Xbox One console gamers can also participate by taking a trip to the Astroneer game preview page on Microsoft.